Alpha Dimension Properties started in 2002 by people with years of experience in residential, apartment and condo real estate. With a goal to improve the quality of service and life for Investors, owners, tenants and employees. Provide a comprehensive array of services meeting and exceeding the needs of our customers. Provide superior and memorable service through communication and education that is next to none other at all times. Every life we touch is considered a client that we want to help improve their ability to achieve happiness and harmony through timely, honest and sincere handling and education. Kathy grew up in Brighton and Leadville Colorado, has a degree in accounting and spent 17 years with AT&T, the last five years at AT&T she was the National Business Operations Director. As a teenager she worked with builders constructing single family homes, during her college years she remodeled homes and began doing custom tile jobs. She fell in love with real estate and began invested in homes early on in life, she obtained her real estate license in 1995, obtained her broker’s license in 2002 and her brokerage firm license in 2009. She assisted over 50 families through the real estate market crisis with short sales and modifications. Kathy contributes 80 hours a year working with Habitat for Humanity and is on the Board of Directors for the National Association of Residential Property Managers. 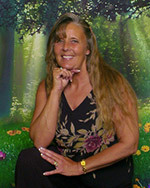 Kathy has four children, 7 grandchildren, enjoys hiking, camping and skiing. Cassie has been with Alpha Dimension Properties for 10 years. The real estate business is her passion and she loves what she does. She is currently in the process of obtaining her broker's license and manages about 40 properties through ADP. Cassie's hobbies include skiing, scrapbooking, and restoring homes. Cassie happens to be restoring a home that's 100 years old and has been doing so for quite some time. She also has three girls ages 12, 16, and 19 that she can't get enough of. She is a very responsible, kind hearted woman and loves every second of her job and would love to work with you! Throughout her childhood, Katrina grew up as a Colorado Native in beautiful Westminster, Colorado. At seventeen Katrina graduated from Legacy High School and lettered at Bollman Technical Education Center where she received the education and certificate to become a Certified Nursing Assistant. Katrina started college right after graduation to pursue a degree in Nursing and was working at Swedish Medical Center in Float Pool, where she had the opportunity to experience what each department had to offer. While attending college, Katrina was offered a new position as a Manager at New Energy Technology Company, where she excelled quickly from a Sales Manager, to General Manager and on to Vice President of the company, before resigning from her position in September of 2011. After her resignation, Katrina began a new career path, started her own business, obtained her Insurance License, Real Estate License and worked as a District Sales Manager, Event Coordinator and Operations Manager remotely for a company out of Michigan. Currently, Katrina's main focus and passion is Real Estate and she will be attending Regis University this Fall to finish her BSN. Katrina has a five year old, a two month old, two nieces and enjoys concerts, hiking, karaoke and spending time with her family. Marina Wilkins has been with Alpha Dimension Properties Inc. for three years as a part time broker assistant and marketing representative. 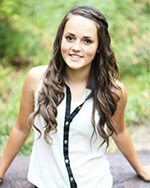 She graduated from Northglenn High School and is attending Front Range College. She is in the process of obtaining her Real Estate Broker’s license and assists in managing properties. 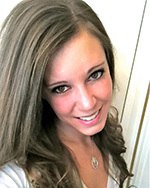 Marina goal is to have her bachelor’s degree in business and eventually become a partner with Alpha Dimension Properties Inc. Marina enjoys camping, skiing, hiking and most of all Real Estate! I would love to help you sell your property, or buy your dream home! 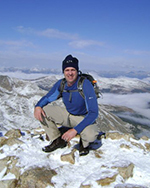 A licensed real estate agent, RE was raised in western Colorado, and is a life-long resident of the Centennial State. After graduating high school, RE moved to Boulder to attend the University of Colorado, where he attained his degree in civil engineering. RE has lived and worked in the Denver-Boulder area ever since, and is passionate about all the amenities this area has to offer. With professional experience in civil engineering design, commercial construction, and construction cost estimating, RE has a versatile skill set that you can leverage. He is a real estate investor, and currently owns income-producing properties. Whether on a trail, or with a fishing pole in hand, RE loves spending time in the great outdoors. He enjoys and plays many sports, and enjoys spending time with his family. RE is here to listen to what you want to accomplish, and help craft a plan to fulfill your dream. Call today to start crafting your plan! Mark Gargano is a top producing Real Estate Broker that also handles Alpha Dimension Properties SEO, Internet technology and part time maintenance representative. 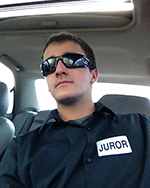 He currently holds a degree in Business and Automotive Mechanics. His largest passion is riding his motorcycle and building/working on cars in his spare time as well as camping and hiking the Colorado Rockies. Contact Mark at (720)380-4061 or by e-mail at mark@alphadimensionproperties.com .